The AIREX Corona 200 training mat has a top-grade absorption and is very hardwearing. 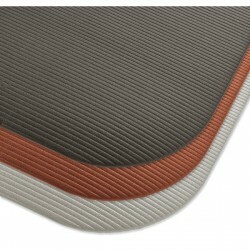 The AIREX gymnastics mat is available in three new, elegant colours and in 200 cm long now. The choice of the ideal pad is critical for the motivation to exercise. The high-grade and extra wide AIREX Corona Training Mat distinguishes itself through optimal cushioning and high durability. 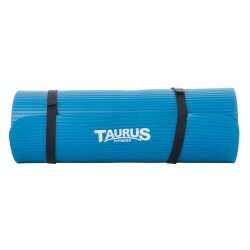 You don't want to finish your training with the Taurus training mat. Thanks to its excellent absorption and the nonslip surface, you can do all exercises in a safe and comfortable way. 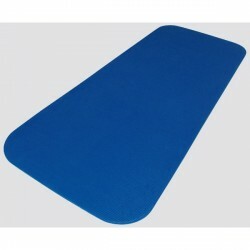 The mat is very hard-wearing and is also suitable for professional use. 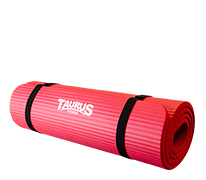 The Taurus exercise mat provides maximum comfort due to it's ideal cushioning and restoring force. Suitable for rehabilitation and other professional use! Very comfortable for a better exercise feel - you will exercise more often, for longer and more comfortably! The selection of the ideal pad is critical for the motivation to exercise. The high-grade AIREX training mats distinguish themselves through optimal cushioning and high durability. The AIREX gymnastics mat Coronella 200 is available in three colours now and can be perfectly selected according to your fitness room. Thanks to waterproof, easy-to-clean surface, the AIREX gymnastics mat Coronella 200 can be used for strength, rehab, and aerobics workouts as well as swimming exercises. The dimensions of 200 x 60 cm offer sufficient space for many exercises. The choice of the ideal pad is critical for the motivation to exercise. The high-grade AIREX Hercules Training Mat distinguishes itself especially through its size and thickness. In addition, like all other Airex mats, it offers optimal cushioning and high durability. Extra thick cushioning of 2,5 cm. 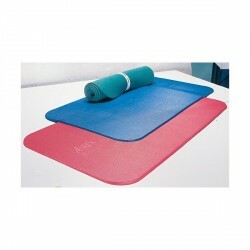 The Tarus Fitness exercise mat is suitable for the home as well as rehabilitation facilities. The AIREX gymnastics mat Coronita offers sufficient space for gymnastics/aerobics and therapy exercises with dimensions of 195 x 80 cm. The hard-wearing material is waterproof, so that the AIREX gymnastics mat Coronita is easy to cleand and can even be used for swimming exercises. The only exercise mat I use. Have been using it in 3 years now and it still going, maybe a little bit glidy at the bottom now but I've been using it nearly every day for 3 years now, so it's time for a change. Zoekende naar een kwalitatieve goede grotere Pilates mat kwam ik bij Airex terecht. De serie Corona heeft een dikte van circa 1,5 cm, wat meer dan voldoende en prettig is om de gewrichten te ondersteunen en de wervelkolom te beschermen tijdens diverse oefeningen, maar ook voor blessures ondersteuning. De ruime afmeting is prima om ook andere oefeningen op de mat te doen, een breedte van 100 cm. is voldoende om te rollen van zijlig rechts naar zijlig links, en de lengte van 200 cm. is fijn om ook helemaal uitgestrekt ondersteunt te worden door de mat. De mat is gekocht voor thuis/studio-gebruik, en niet voor mee te nemen op locatie. Makkelijk op te rollen en na het afrollen ligt de mat gelijk vlak op de grond. Schaf de Airex Fitline aan als je een mat wilt om makkelijk mee te nemen. Ik heb tegelijkertijd een grote en stevige tas erbij voor vervoer en opslag, handig. Let wel dat je de mat niet op de tasnaad liggend legt, maar laat staan ivm deuken. Beide zijden van de mat hebben een prachtige grijze kleur en eenzelfde niveau van afwerking (dubbelzijdig gebruik mogelijk). 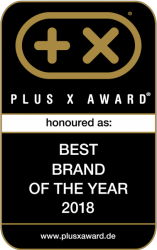 Het logo van Airex op de voorzijde geeft mooi het midden van de mat weer, en er is nog 1 klein diepliggend logo aan een zijde. Wees voorzichtig met gewichten, randen of naden van materiaal (dozen) er op te laten liggen, want dan blijf je deuk of lijnsnede zien. Concluderend is de Airex Corona 200 een uitstekende goede kwalitatieve mat voor Pilates, echter let op dat je er niets op laat liggen ivm deuken of lijnsneden. 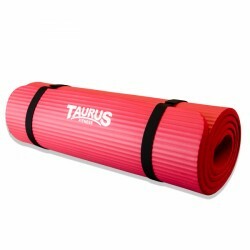 The choice of the appropriate yoga mats/gymnastics mats is decisive for having fun in active movement and sports. The training experience is increased - you exercise more often, longer, and more comfortable. 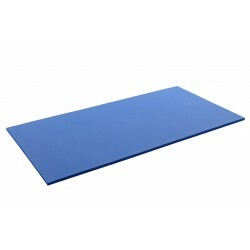 Either for home use or therapy, yoga mats / gymnastics mats are an important training partner. Quality features of good yoga mats/gymnastics mat are an optimal absorption, a high resistance, and an ideal adjustment to the floor - according to the requirement.